Fairy Tale Themed Wedding Favors! All marriages are "dreams come true". Well, lets start with the wedding favors! 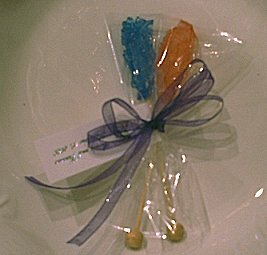 Your guests will always remember these fairy tale themed wedding favors.Bubble Gum Buddies and the Rock Candy Swizzle Sticks make wonderful fairy tale themed favors. 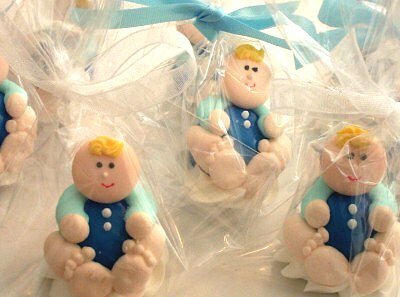 These bubblegum buddies are the most adorable favors! Bubblegum Buddies features babies, animals, clowns, or bridal. 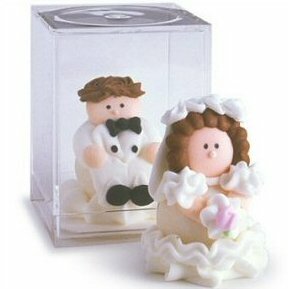 Bubblegum buddy bridal pair features a bride and a groom, but are sold individually and not as a pair. A case of 48 would include 24 brides and 24 grooms. You may choose African American or Caucasian. Click to view other bubble gum buddies 1 week lead time Price is per favor. Must order in increments of 48. 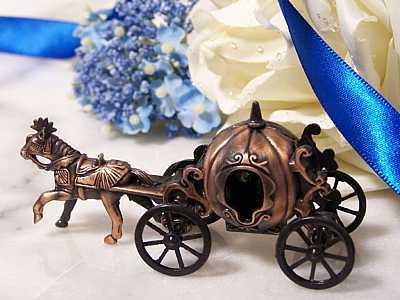 These unique Cinderella pencil sharpeners make great unique wedding favors. They are boxed, so the Cinderella pencil sharpeners will easy to favor wrap. We have personalized gift wrapping paper to make it a truly unique favor. 1 3/4"H x 4"L Price is per Cinderella pencil sharpener. Minimum order is 25. 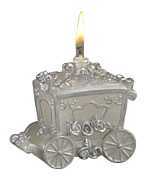 These Cinderella coach candles are perfect for fairy tale wedding favors. All little girls dreams come true. These coach candles are a great way to say thank you to those who are sharing that dream with you. Each coach candle measures ~2 3/4"tall. Price is per coach candle. Minimum order is 20. Personalized Rock Candy Swizzle Sticks This pair of rock candy sticks will be a great hit at your next event. They are personalized with a favor tag and are tied with ribbon. They are wrapped in a cellophane bag. If you want two different colors, you will have to order 60 of each color and put this specification in the comments section. Make sure to put your names and event date in the comment field below. The ribbon and imprint colors will match the swizzle stick color.